If you’re looking for beautiful places to visit – you came to the right place. In fact, there are plenty beautiful places on Earth and each country has their own. But we’ve tried to be objective and collected top 25 most beautiful places in the world including the most beautiful places in America, Europe, Africa, Asia, Australia and New Zealand. Enjoy! Pristine waters of white sand laced beaches, old and forgotten villages that continue to thrive as if time never ticket past the 15th century, ruins that enthrall and fascinate, deserts that scare and dominate, and natural phenomena that bamboozle the staunchest of explorers – that’s just 1% of the wonders spread far and wide on the face of the Earth. What’s the world most beautiful place to visit in 2019, you ask? Well, that’s subjective. While the idea of beauty differs among people, here is a list of places which most would feel themselves lucky to travel to. Europe, Americas, Asia, Australia – we’ve covered everything here. Located on the Niagara River between Lake Ontario and Lake Erie, these three massive waterfalls (Horseshoe, America and Bridal Veil) form the border between USA and Canada. 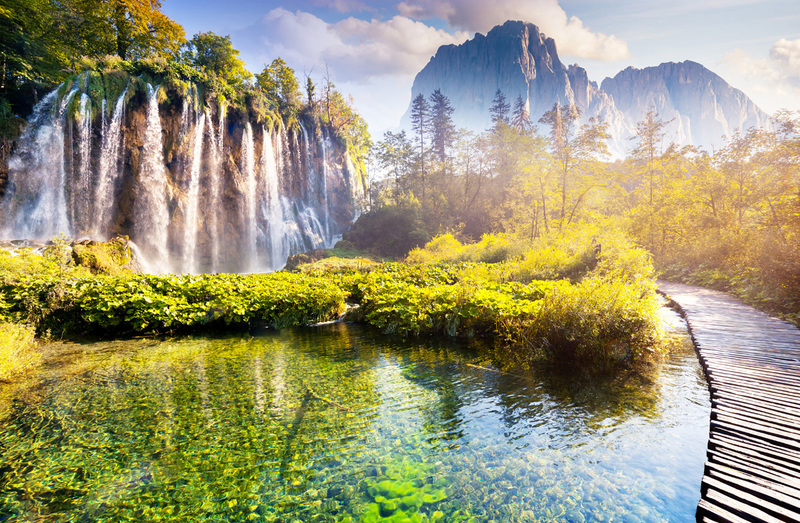 Formed during the last ice age, these are today the most amazing and famous waterfalls in the world, attracting honeymooners and families and film crews alike. In fact, for generations, the beauty and awe evoked by the waters rushing down in great quantities up to 57 metres before reaching Lake Ontario have been inspiring artists like Thomas Cole, and the adventure enthusiasts who go down on barrels and walk across on ropes. The oldest and one of the most renowned national parks across the globe, this stretches over an area of 3,500 square miles from Wyoming to Idaho and Montana. It has the most amazing features like gushing alpine rivers, a volcano with majestic geysers and springs, very deep canyons which take on beautiful shades with the changing position of the sun, timeless forests, snow-capped peaks, wonderful vistas, and excellent trails for humans and animals alike. An area favorite among tourists, scientists, conservationists, adrenaline junkies and sadly, poachers, it is the home to some of the trademark animals of the United States, like wolves, bisons, antelopes, elks and bears, and is definitely one you should visit for the most memorable experiences. It last appeared in a Hollywood blockbuster as Wonder Woman’s Themiscyra, and yes, it is beautiful enough to seem like a place straight out of the myths what with its sheer cliffs dropping into the brilliant azure sea, the cozy little beaches among the coves, the postcard villages along the slopes of Mount Ravello and the orange groves that might have attracted some ancient hero with their fragrance. Stretching for around 50 kilometers, you can hike on the routes through the quaint little villages, witness some breath-taking vista, dine at one of those amazing local restaurants and tavernas, or take a trip through the coastal road running along the port of Salerno, Positano and Amalfi, taking you to the top of the Sorrento Mountains. No wonders, it’s one of the most beautiful places to live in. An immense gorge a mile deep and 18 miles long, it looks like a gash first made on the fabric of the world some 1.8 billion years ago, as suggested by the bottommost rocks – it’s the wildest side of America. Even from its best vantage point, you can take in only a small portion of the entire façade, and the beautiful shades cast by the sunlight on the red granite gives it a surreal, intimidating aura. Deceptive at first glance, this place in fact sustains many ecosystems, as you would see if you follow the hiking trails on the northern rim, where it is also much less crowded. Yavapai Observation Station, Mary Cotler’s Lookout Studio and Mather Point happen to be the most popular viewpoints situated in that area. Located at an altitude of 11,995 feet in the Andes in southwest Bolivia and covering an area of 4,086 square miles, this is the largest salt flat in the world. Once a lake, today it is a 11,000 square kilometers stretch of sparkling white salt, impossible rock formations and forlorn cacti-covered islands, straight out of Invisible Cities. The salt crust anything between 7 and 66 feet in depth, is a sea of brine and so rich in lithium as to make up 70% of the world’s reserves. While this desert-like stretch is fairly barren most of the time, it hosts about 80 species of birds and thousands of flamingoes who turn the whole place pink in November. Definitely worth an experience! One of the most majestic places on earth with the ice-cream icebergs from ancient glaciers, this is a riot of blue with the breathtaking heights, the cold bottomless lakes, wonderful geological formations, ancient forests and golden pampas that are a home to variety of rare species like pumas and guanacos. It is located on the southern tip of the Patagonian Andes in Chile, and while the best way to see it is on foot following any of the legendary tracks, you have to limit your visit to the three granite towers known as Torres del Paine (from which the place derives its name), Los Cuernos, Grey Glacier and the French Valley. With its golden sand beach, this is one of the top beautiful places on the Big Island of Hawaii and is ideal for long walks. Also, as the sand recedes its way out into the water, enabling one to wade in till waist-deep water, it is very safe for beginners and children. As it is connected to the Mauna Kea Beach Hotel, it is rarely crowded, though parking is limited in the area. Snorkeling is one of the popular activities among the tourists, but only the two extreme ends of the beach, guarded by natural rock promontories, are fit for it. A clay and salt pane surrounded by gigantic red dunes, Sossusvlei is located in the Namibian Namib-Naukluft National Park in the southern part of the Namib Desert. Loosely translated as ‘dead-end marsh’ and located about 60 kilometres from the coast of the Atlantic, its name is derived from the dunes where the scanty water of the Tsauchab River end their flow. While the place is mostly as dry as the desert, it becomes a haven for photographers from all over the world in the years when it rains. The immense red dunes getting reflected in a lake that lasts hardly a year has to be one of the rarest of spectacles. It also becomes a treat for the thousands of birds who come flocking. According to many, Oia is the most beautiful places of all the picturesque villages in the beautiful island of Santorini, what with the magnificent view of the Palea volcano, Nea Kameni and the Thirassia island from one of the cliff tops. Much quieter than the busy Fira 11 km away, Oia is the place for you if you want to relax your muscles and detox with its calm, laid-back approach and beautiful narrow streets with taverns, souvenir shops and cafes. You can also take a stroll along the Ammoudi port which is 300 steps down the cliff, or visit the galleries housing art of the many artists who fell in love with that place. Mosi-oa-Tunya, the original name for Victoria Falls on the Zambezi River which means the Smoke that Thunders, is apt for the widest waterfall in the world, as the roar here from the otherwise placid Zambezi can be heard 40 kilometers away! Forming the largest water curtain in the world, the river plummets down the wide basalt cliff into the gorge more than meters below, forming permanent clouds and spectacular rainbows. The basalt wall on the opposite is surrounded by thick forest cover and offers breathtaking sights of the falls and the minor falls as the water zigzags its ways through a number of gorges. The red stones and blue skies give this place an other-worldly feel at an altitude of 5,000 feet in the high desert of eastern Utah. It stretches over an area of 76,679 acres across the famed Colorado Plateau, the river bordering the southeast. This place is like a Martian landscape holding many secrets, with more than 2,000 rocks in all shades of red and buff forming precarious bridges, arches, and pinnacles formed due to the salt composition of the soil, sediment pressure and continuous erosion from wind and water. This place, in spite of its dry vibe, actually hosts some amazing ecosystems, and a guided tour through the hike trails is the best way to explore the area. The Blue Ridge Mountains are located in the eastern United States, stretching from the southernmost end of the Appalachians to Pennsylvania up north. And if you own a computer, you are likely to end up with their picture as a system desktop background. And why not? The Blue Ridge Mountains seem to be from a fairyland, thanks to the isopropene gas released by the trees there. The mountains have two large national parks- The Shenandoah and the Great Smoky Mountains, and the best way to explore the place is by taking the 469 mile long scenic highway called the Blue Ridge Parkway connecting the two parks and running along the Appalachian Trail. 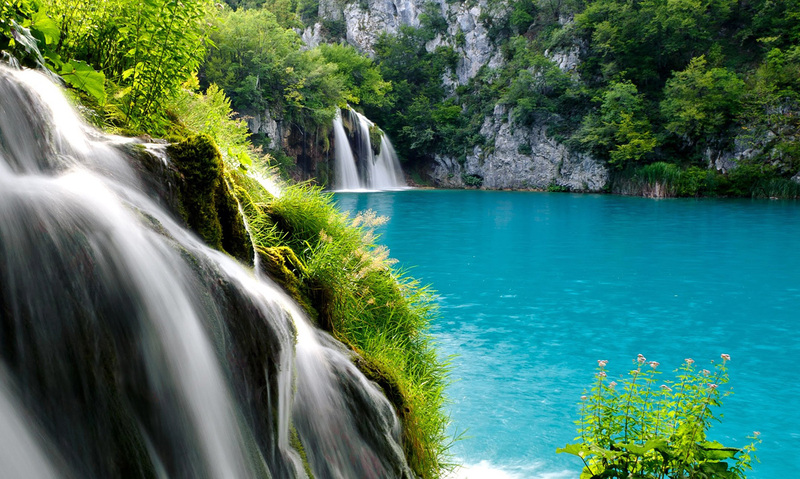 The Plitvice Lakes are a group of 16 lakes surrounded by ancient forests, waterfalls and bridges natural and man-made, halfway between the Croatian capital Zagreb, and Zadar on the Adriatic coast. The waterfalls are endless in number because of the huge difference between the highest (1,280 meters) and the lowest (280 meters) points, permanently filling the air with spray and fog. To explore the area, there are the numerous wooden and natural walkways and hiking trails around and across the lakes, and the Lake Kozjak ferry service. The lakes are especially beautiful during the fall, when they mirror the amazing colors and frozen branches. The area also boasts of a rich fauna consisting of bears, wolves, birds and boars. It’s the only living body on Earth that’s visible from space; it’s the pride of Australia, it’s immense – it’s the Great Barrier Reef. 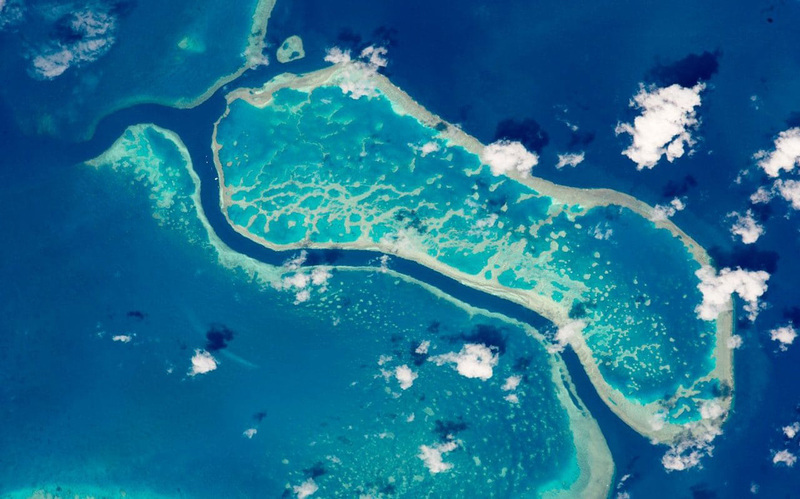 Among the most complex and most beautiful ecosystems of the world, the Great Barrier Reef is sprawled across 2,300 kilometers, off the Queensland coast in northeast Australia. With hundreds of islands, glistening white sands, coral cays, and more than 3,000 reef systems, this place is unimaginably amazing. The outer beauty, however, pales in comparison to the colorful and dynamic world full of life, thriving underwater, here. Snorkeling in the Great Barrier Reef is an unforgettable experience that you’ll cherish for your lifetime. 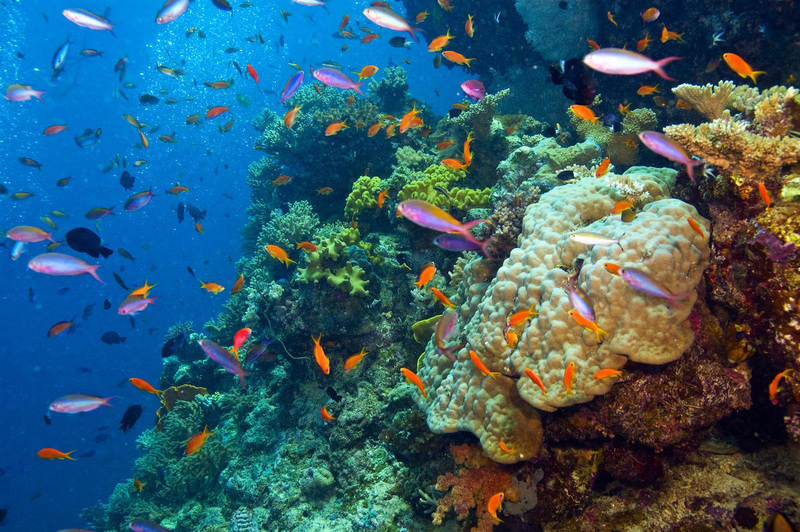 Every year, millions of travelers take a swim in the waters of the Great Barrier Reef to witness the colorful world of underwater corals, and see topical fish, turtles, and sea stars in their natural environment. 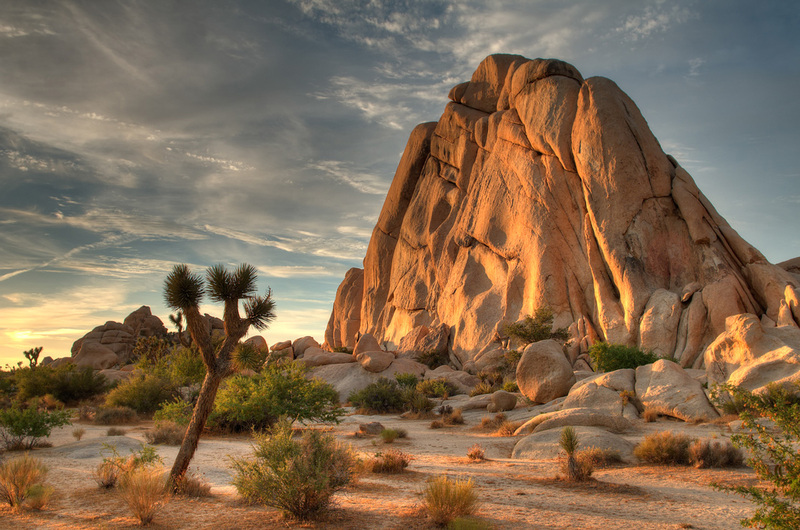 The high and low deserts of Mojave and Colorado are distinct ecosystems in their own rights. Then these South Californian deserts come together, the result is a fascinating world with unmatched, raw, and wild beauty. 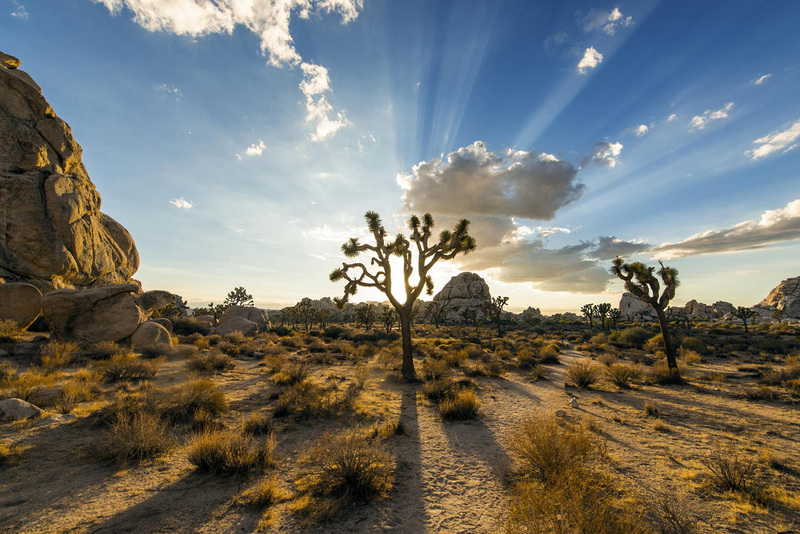 Called Joshua National Park, this protected area is home to plants and animals that don’t exist anywhere else in the world. Rare rains, strong winds, and frequent droughts – that’s the way of life at Joshua National Park. Add its rich history and amazing geology, and you’ve got a fascinating place with beauty of a different kind. The Colorado Desert area is mostly covered by cholla cactus, spidery ocotillo, and creosote bush. The Mojave Desert has a lot of weird and mis-shaped Joshua trees. Then, the unique geological formations all across the region make it all the more amazing. The beauty of this region has an undeniable wildness and ruggedness that are one of its kinds. 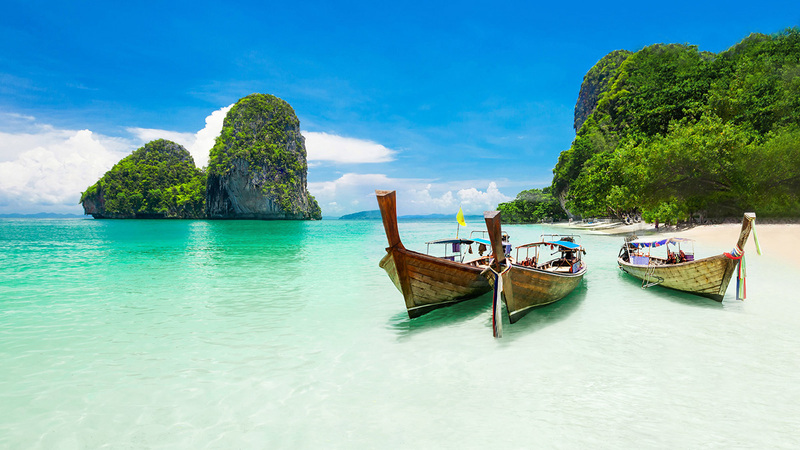 Now, Thailand is among the most stunning tourism destinations in the world, partly because of its lively nightlife, and partly because of its multi-dimensional reputation as a country that doesn’t hold anything back in terms of delivering unmatched experiences to tourists. 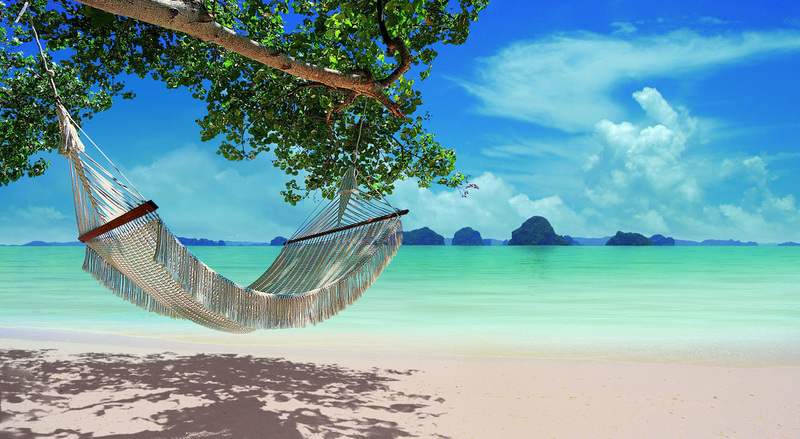 Krabi, however, is something beyond the routine Thailand vibe. It’s a resort town in southern Thailand, known for its unique limestone karsts that jut out of majestic mangrove forests and surrounded by beautiful beaches. Tiger Cave Temple in the town is exceptionally beautiful, perched on a hill, and accessible via a long flight of stairs. Also, Khao Kanab Nam is a popular landmark in the town, comprised by two slanting hills. Also, the town is proximate to quite a few national parks that are accessible via boats and ferries. 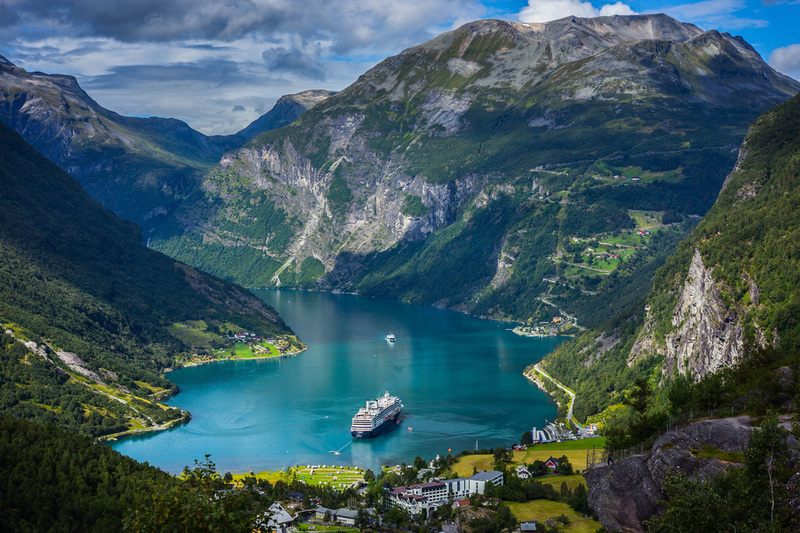 Norwegian fjords are renowned for their delightful beauty, and attract adrenaline junkies from across the globe. 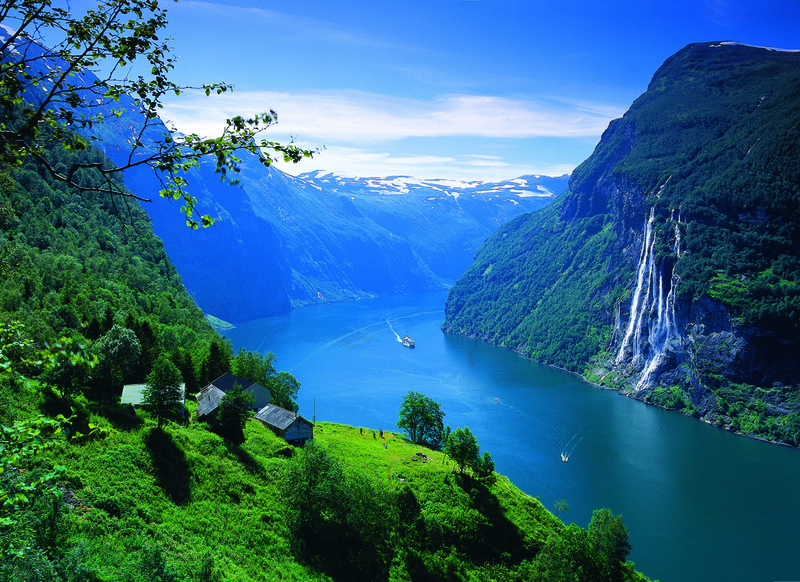 However, they all pale in comparison to Geiranger Fjord, set 1.5 km wide at its widest point and 15 km long. There’s no vertical mountain side, no habitable coast – just pure raw beauty. People choose to kayak their way to the fjord to experience its beauty. Another option is to take a ferry and enjoy the sights en route. Brace up for thunderous waterfalls coming down along steep cliffs, and the resulting clouds of fog. Adding to the beauty and charm is the Trollstigen road; it was build way back in 1936 and is a winding, stone railing lined path that winds around mountain sides. Rappelling, zip lining, and hill climbing in the region are unforgettable experiences. How about relaxing under a thatch-roofed villa surrounding by water all around, and getting your favorite bottle of wine delivered via room service personnel in canoes? That’s Bora Bora for you, a rendezvous with natural beauty with an equally grand dose of luxury. Tucked far away in South Pacific, Bora Bora is surrounding by thick jungles, and sand laced islands, all combining to form a beautiful lagoon. Snorkeling and other water sports opportunities come aplenty in Bora Bora, as you get to see the thriving underwater life, including colorful corals and fish. It’s become a highly coveted beautiful place for wedding and honeymoons, an that’s hardly a wonder. This less known place is an epitome of beauty that blends the charms of vegetation and water. This is actually a 10 mile wide island that is blessed with more than hundred mile long shoreline. A paradise for explorers, this place is, according to some, the best example of how beautiful Hawaiian Islands looked a few decades back. With dozens of waterfalls, inimitable native Hawaiian heritage, and mesmerizingly beautiful ancient ruins, Molokai is a multi-dimensional experience that will bring you close to nature. Photographers from all parts of the world crave to be present in Jujuy (pronounced hoo-hooey), to experience and capture the beautiful changes in natural lighting and ambient colors that this place experiences. The place is arid, remote, and brutally beautiful. Particularly renowned are the salt flats of Salinas Grandes, which are mined via rectangular pools. The massive stretches of wilderness and desert make Jujuy Province fascinating, challenging, and inimitable. Swiss villages spring up images of green meadows and plumb cows grazing away. Appenzell is all that, and a lot more. This is as fascinating as a village can be, with the quintessential village square that plays hub to all business activity, horse drawn carriages rattling along in all directions, richly painted panels on unpretentious buildings, and lavish carved chalets. All around the year, there are festivals and carnivals that add to the liveliness and colorfulness of the village. It’s surrounded by the 8,200 foot Mount Santis, which makes it awesome for hikes and cross country trails. The Bokeo Nature Reserve, Laos was created in order to save the endangered black cheek gibbon. It’s located in Laos’ Bokeo province. 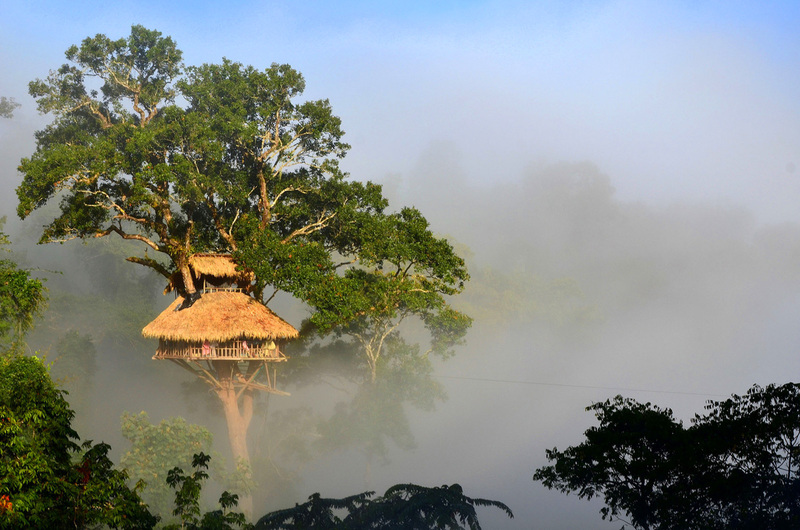 The Gibbon Experience is the tourists’ choice, an opportunity to soak in the natural forest beauty along with the opportunity to see gibbons in their natural habitat. The Nam Nga River adds another dimension of beauty to the place. Treks along the river can be memorable experiences. 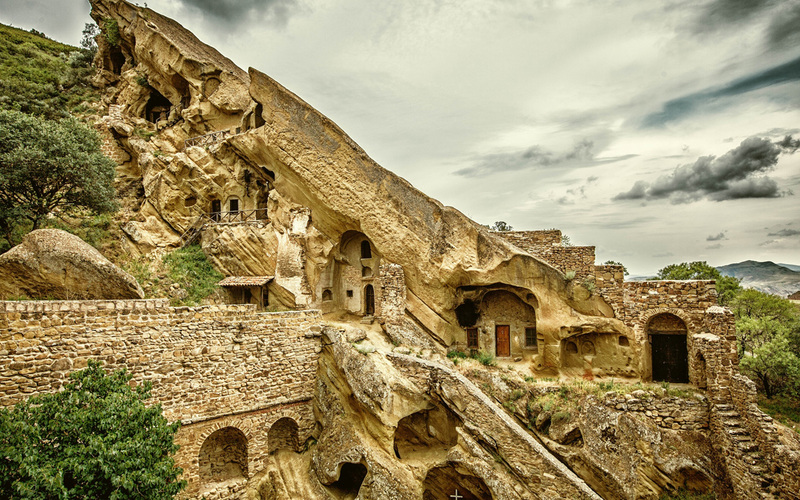 David Gareja Caves are among the lesser known jewels in the crown of natural beauty on Earth. Located in the cliffs of Georgia-Azerbaijan border, these caves are a network of total 19 cave monasteries that have managed to survive from mediaeval times. 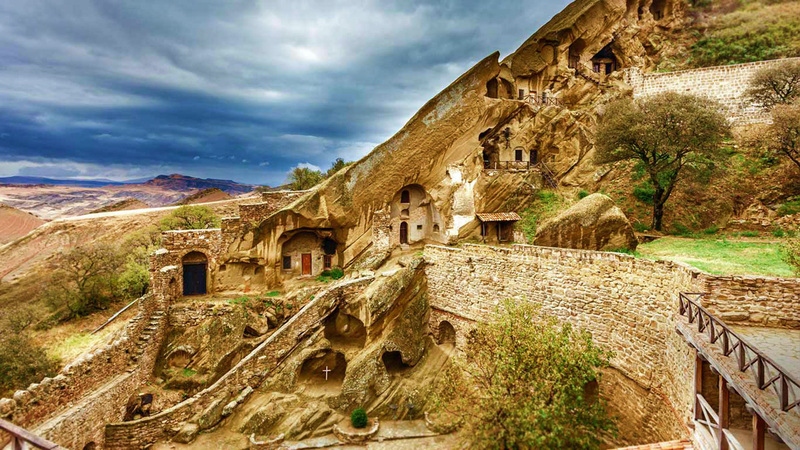 These caves are considered the epitome of Georgian arts. The deserted steppe geography is all you need to forget about the world and soak in the magical beauty of nature, accentuated by the almost eerie silence all around. One of the Davit Gareja caves still functions as a monastery, and the muffled chants of the resident monks make the atmosphere surreal, for anybody lucky enough to be there. When did larval fungus gnats begin being beautiful? 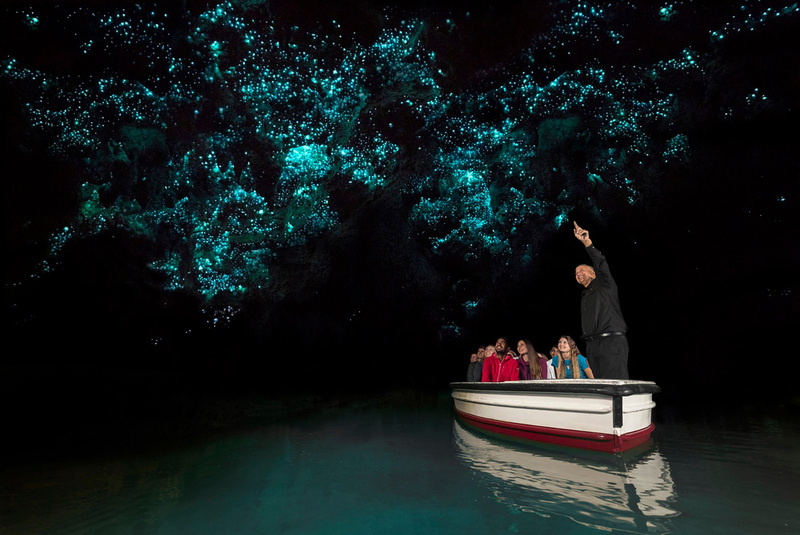 Well, ever since they embraced the walls of the Waitomo Caves in New Zealand. 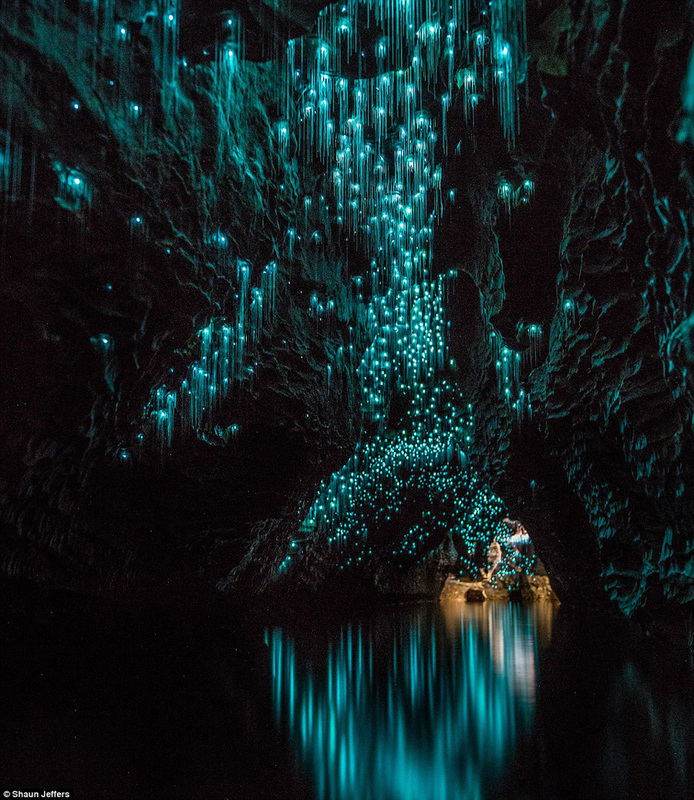 Also known as Glowworm Grotto, these caves are located along the Waitomo River in North Island, New Zealand. These caves are world renowned for the glittering blue lights that appear across the walls and ceilings, giving them an eerie look. The sensation that visitors feel when inside these caves is that of being a few feet away from a sky lit with brilliant blue stars. 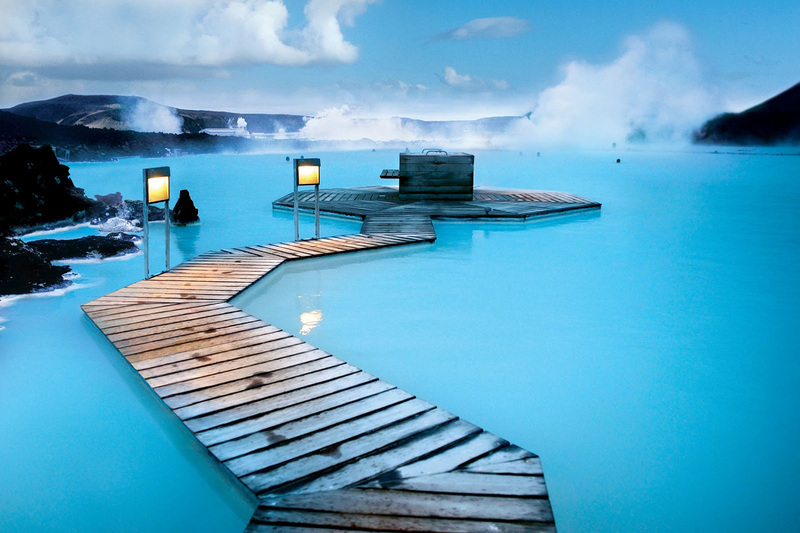 Among the rarest geothermal spas in the world, Blue Lagoon is located in the heart of Reykjanes Peninsula, amidst a lava field. 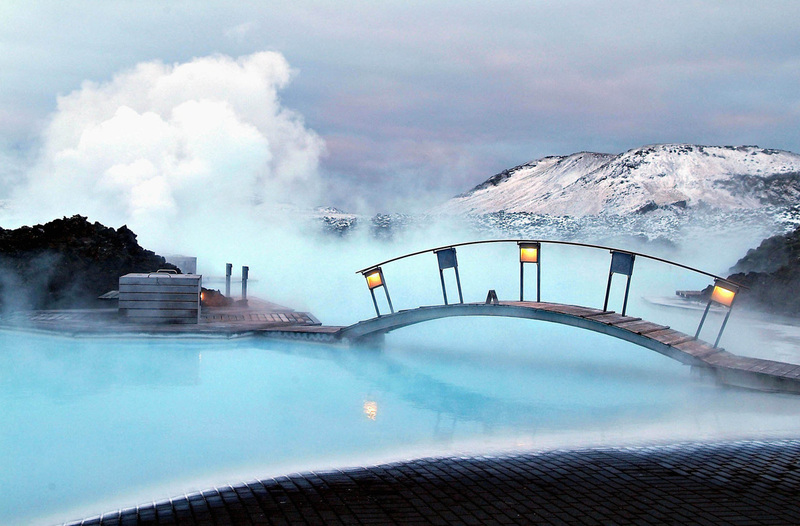 The weird landscapes of the Blue Lagoon make it fascinatingly beautiful. The milky white tranquil waters add to the balmy personality of the place.